Two Very Different Magazines & A Little Obsession! I've just recently received issue No.3....so as you can see, it's quite a new publication. The strap line on their website states " The independent vintage lifestyle magazine celebrating everything that's brilliantly British" which just about sums it up really. This is certainly no ordinary magazine, in fact Pretty Nostalgic looks and feels more like a book than a magazine.. quite different in every aspect and utterly inspiring. This latest issue features all kinds from The Anatomy Of 1920s Style and Vintage Cycling, to Vintage Sewing Machines and Ways Of Upcycling A Woolly Jumper! 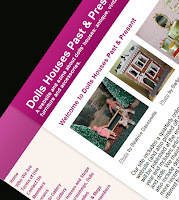 Click on the following link to see their website. Now a magazine of a different kind......the latest September issue of the online Dolls House Past And Present website is out now. 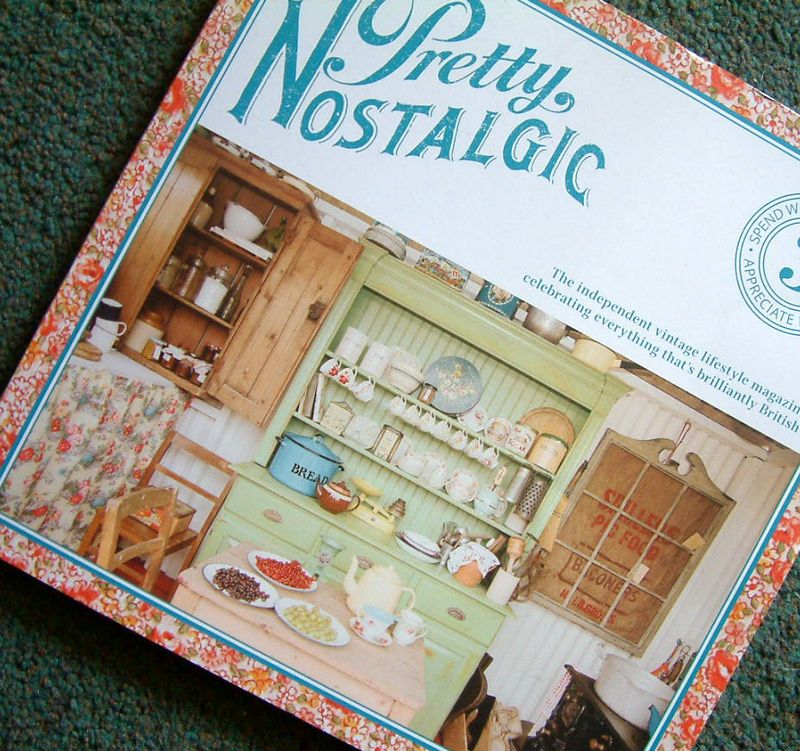 Edited by Rebecca Green, this latest issue is superbly informative as always, tackling a whole array of subjects including Pit-a-Pat Radios, A Christian Hacker House, A 1940s House and Restoring A Tri-ang. 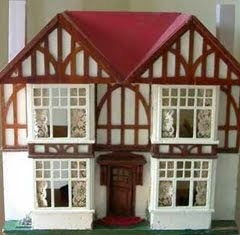 Rebecca has also written an excellent article on Dolls House Designs From The Woodworker c1917-1970. Fabulous!!!! Do go check it out. And now for my little obsession! 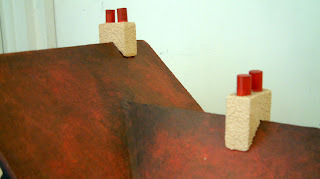 It's been a while since I visited Miniatura at the NEC.....(has been much longer since I used to exhibit at Miniatura. )....but tomorrow (Sunday), I plan to be a visitor on the "other side of the table"....which will be nice. 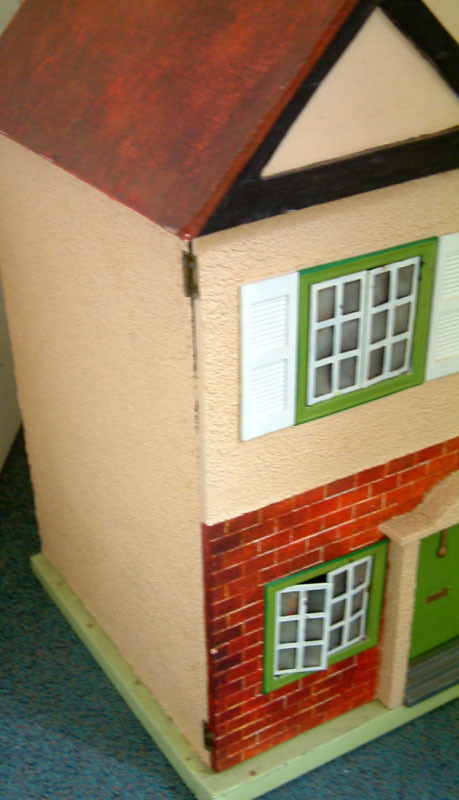 Am looking to meet up with some old artisan friends and will be on the look out for a special mini purchase (or two) for my little old attic room box that you see a glimpse of here. As it sits up on the shelf above my computer, I see it every day and has now become a bit of an obsession! 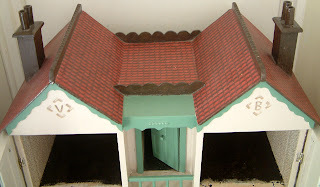 It started out as a simple Thame Club project and of which I showed a bit of it's beginnings and what I though was its ending on earlier KT Miniature postings. But I just can't help tweaking it a little here and a little there........am so enjoying having something of my own. Normally I make room settings to sell and off they go, never to be seen again! 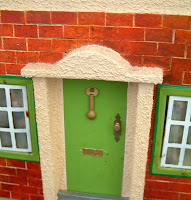 So....if I purchase any magical miniature goodie tomorrow....I will let you know. 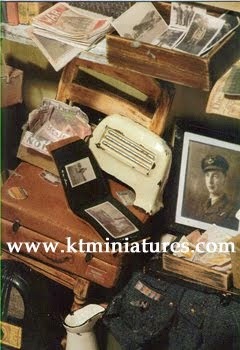 Workshop News.....And About KT Miniatures Website! Well, after having been laid up (literally) for 2 months over the summer, life is well and truly getting back to normal. KT Miniatures' phone has been ringing once more and emails are flowing constantly through my inbox...it is so nice to be back! 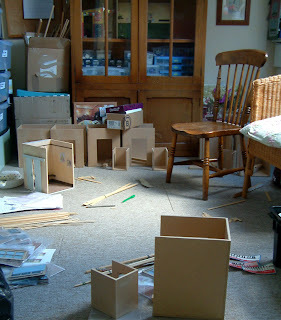 Although I'm still not able to sit at my workbench as such just yet and "create" at the pace I normally do....I have actually been making some unique 1930s lino (great fun) and cutting wood etc, for our next workshop......(the postponed one from September which is now taking place in October. Ummmm......yep, all due to me...I am blushing as I type)! 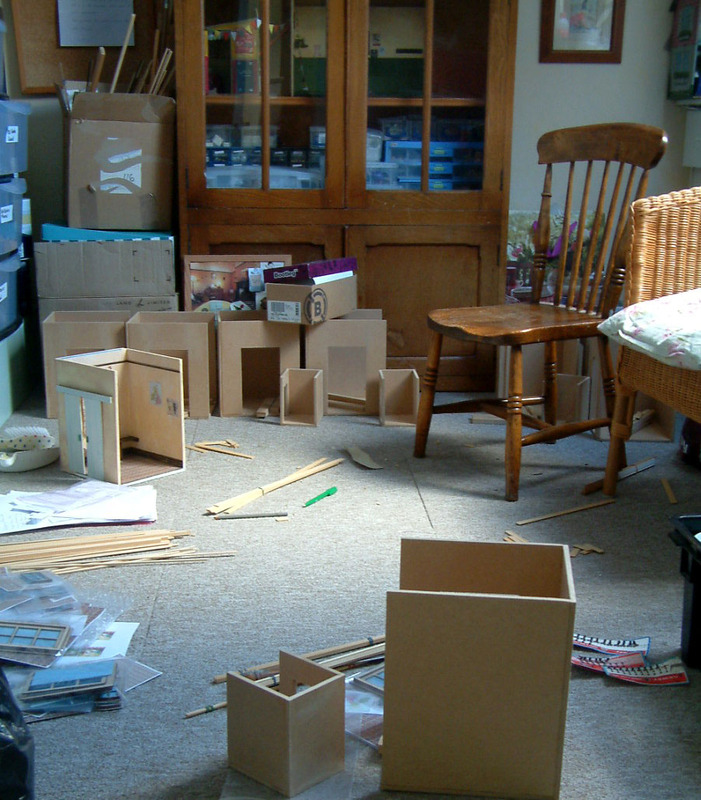 This is a rare glimpse of my workroom....incredibly tidy compared to what it usually is when I'm working at full capacity! I am pleased to say that all the ladies who were booked for September have been wonderful and very understanding....THANK YOU LADIES. And my long suffering workshop colleague Robin has been too. It was so nice to have a proper workshop management meeting with Robin (aka just a natter and gossip between mates actually if truth be known) at our favourite Thame coffee shop the other day, outside in the sunshine. Aaaaah yep, life is certainly slowly getting back to normal! However, already we are working on our 2013 workshops can you believe and now have a title, date and super venue for an April workshop.....which will be taking place in the classroom block once more at Waterperry Gardens in Oxfordshire. Booking has not officially started yet as we still need to finalise details but already we have a very full reserve list of people wishing to come. So do get in touch if you would like to be added to the reserve list......we hope to get an official promotional page with full details of what we will be making etc. up and running in October. 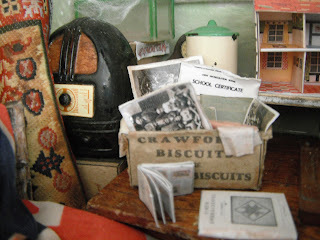 See our Nostalgia In Miniature Workshops website for any up to date info. 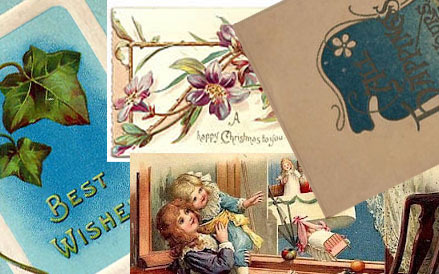 The scene is based on the c1910 song with an added Christmas twist! 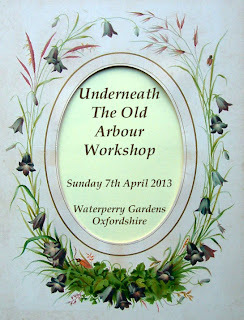 Booking is now open for this all day workshop and at the time of writing this blog, we currently have 4 spaces left available. Attendees won' be forced to sing the song...honest! But there is a rumour that there will be mulled wine, mince pies and chocolate - so anything is liable to happen - should be a great day so why not come and join us!? 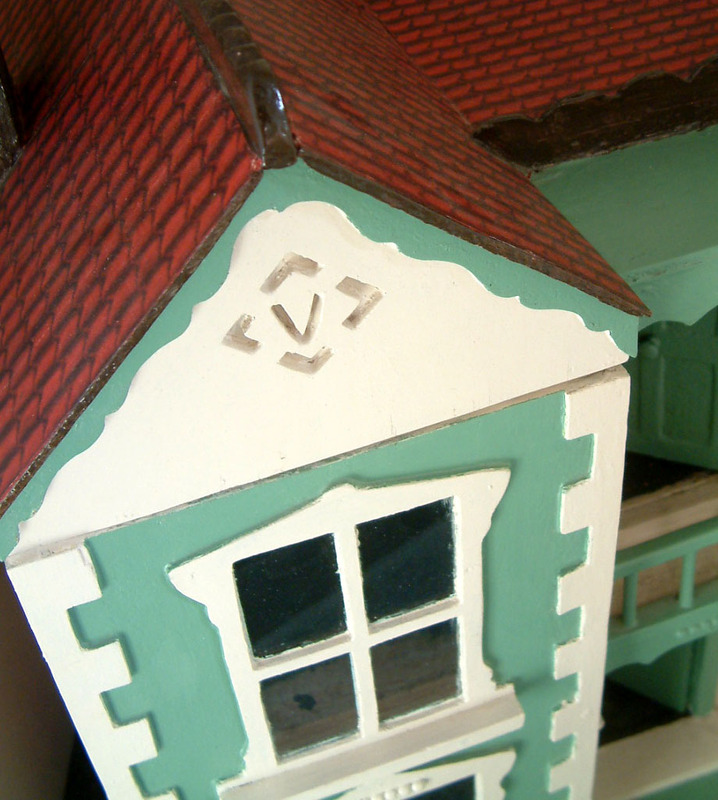 Suitable for beginners and experienced miniaturists alike - all are welcome. 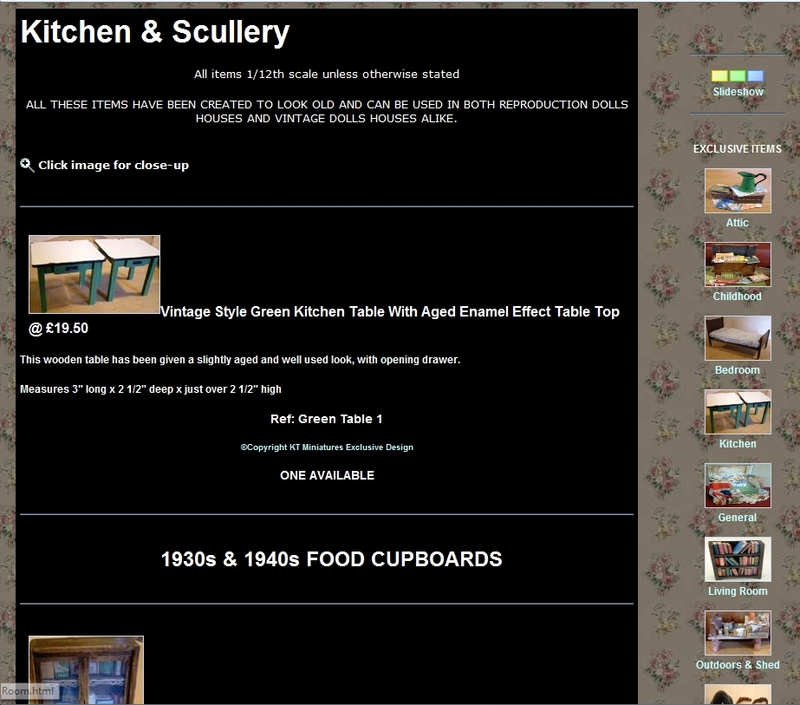 Am slowly changing the template over on my Exclusive Items pages.....so that it is more or less the same as the vintage pages. 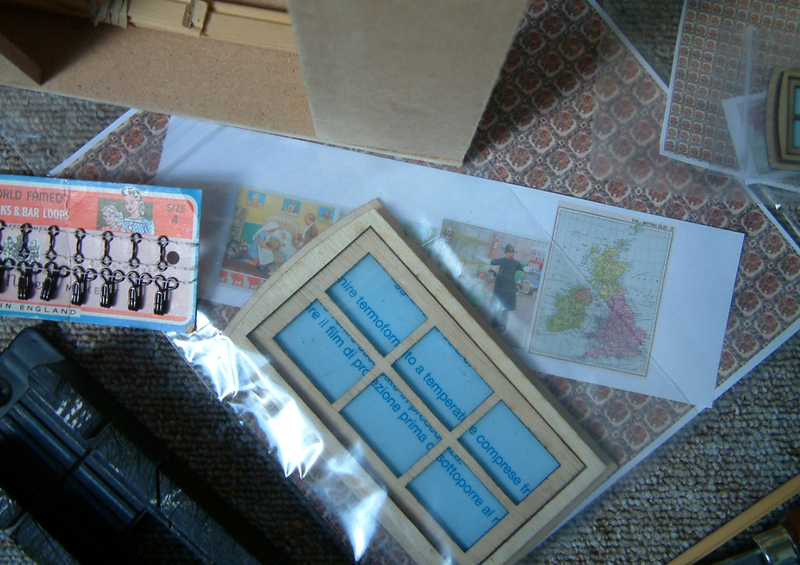 I have to say that during the summer, whilst lying down feeling like death and feeling very sorry for myself.....I did actually do a lot of thinking about the future of KT Miniatures and plans may well be affoot but more about that another day! With the old template, I am so restricted and is a nightmare to list stuff.....the pages take on a whole mind of their own at times. So far, I have been able to change over the Kitchen & Scullery, General and Bedroom pages.........the rest will be done gradually over the next couple of weeks or so. 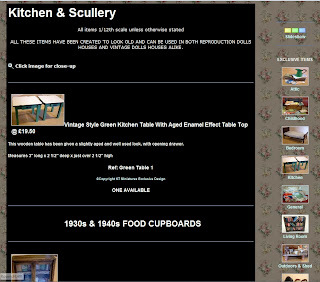 But an added advantage of this template is that it also means that you have instant links to the other pages in the Exclusive Items range, on the right hand side bar. Hope you like this. Occasionally I am asked by a customer why they cannot see the new items that I have mentioned either in my newsletter or on this blog? It appears that they sometimes see either an old link or a mixture of new text but old links to photos on my website - very confusing and frustrating for all concerned??? Well....after discussing this with my IT Director (aka Dave my long suffering husband).....we can only think that some of your computers are remembering what it saw before when you logged on.....and you simply need to refresh each page. For those of you who refresh the page but then get the new text but not photo to match, apart from using a few well chosen expletives, will need to look at how their computer is set up. If you are no techno wizard then ask someone who is and they may be able to help you sort out your "computer history set up" so that your computer will automatically view updates on website pages. Hope this helps? PS. Or....you can try that old trusted solution (no...not hit or kick it)....but to turn off your system, leave for a few minutes and turn it on again! 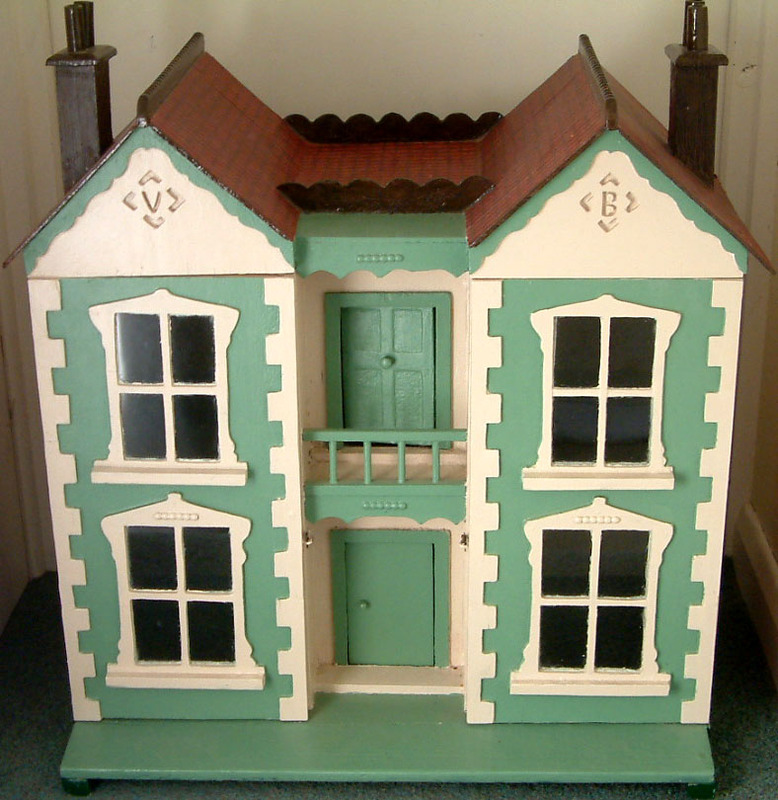 A delightful dolls house in need of a new owner and ready to embark on a new chapter. 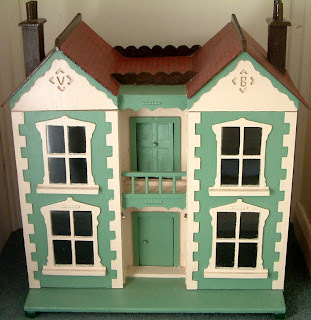 It is a very old Tri-ang dolls house, originating from the latter half of the 1930s and this particular model doesn't come along very often which makes it quite special. 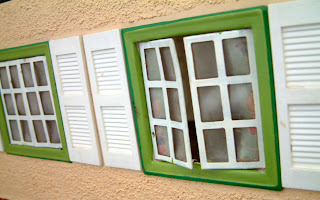 Although it has undertaken a relatively recent makeover, it is pleasing to find some original features still present. 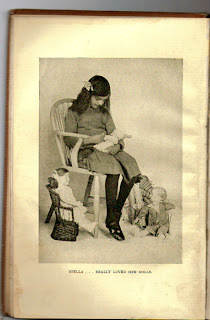 A scanned image from an old catalogue. You can see what it would have looked like originally. 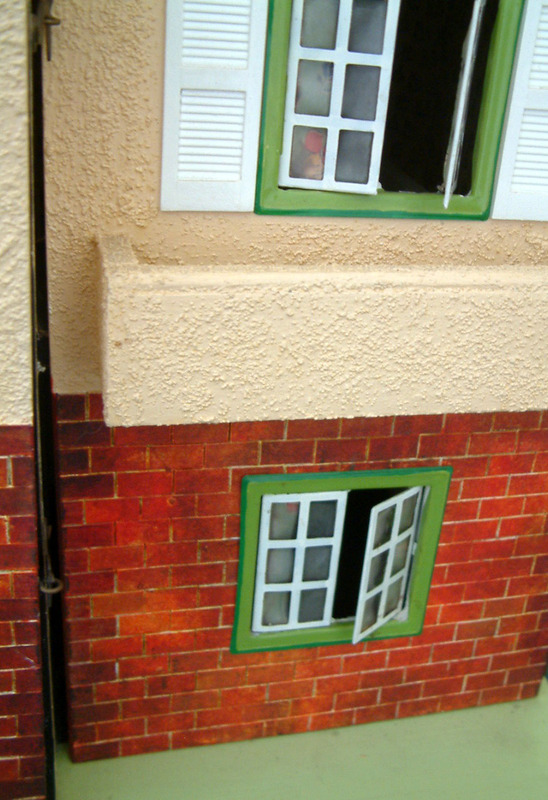 A balcony is situated underneath the right upper window. The sides, back and upper frontage are covered in a textured stucco effect, which probably would have been a kind of off-white but has been painted a beige colour. However, I love the brickwork that the previous owner has very cleverly created on the lower half of the frontage,as the original brickwork is long gone. 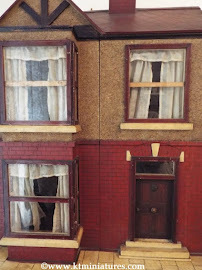 A lovely paint effect over handmade card brickwork gives it an aged patina and added depth...much more effective than modern brick paper and although I am a bit of a purist where antique dolls houses are concerned.... actually I would be inclined to keep it. 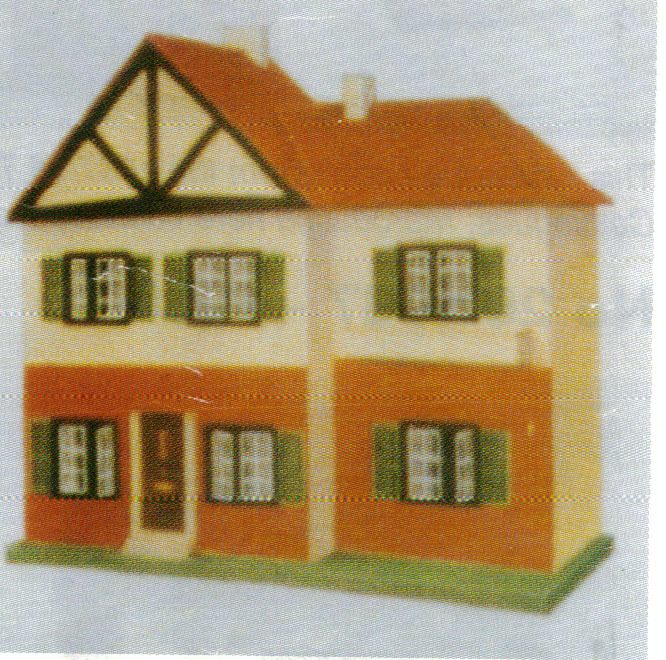 The house opens at the front in two parts to reveal four rooms. 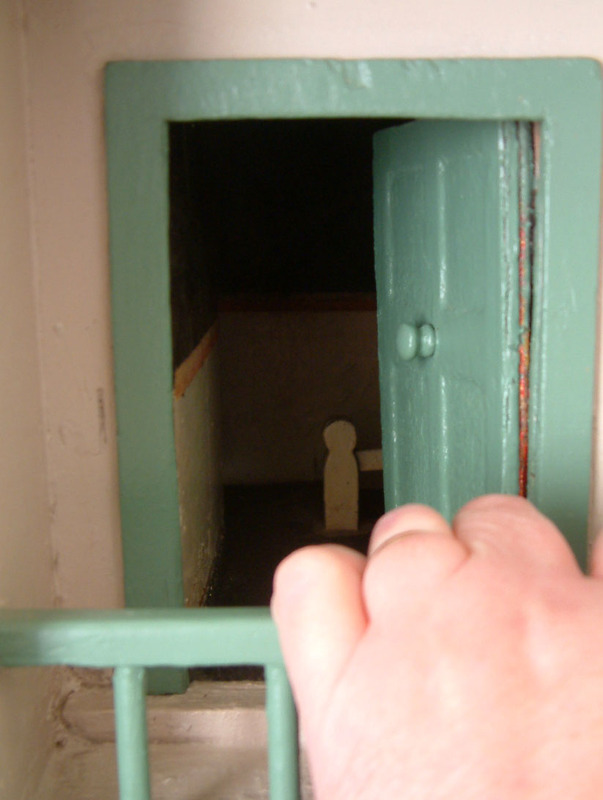 A staircase rises from the right hand lower room and leads up to the upper right hand room. 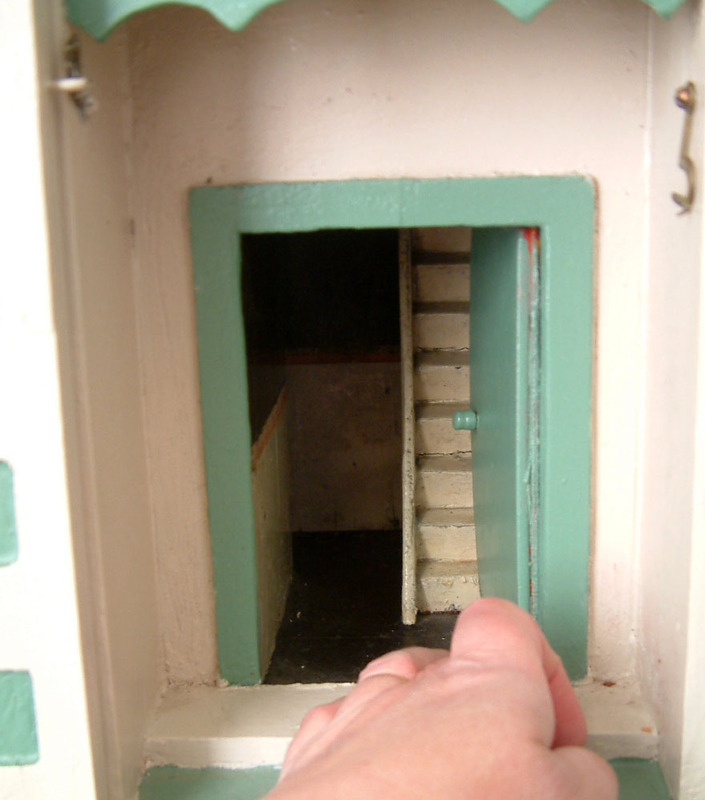 There are two interior opening doors. 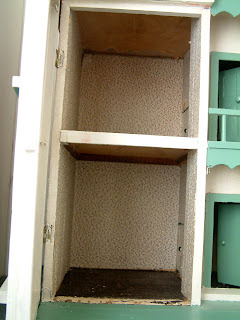 The walls have relatively modern wallpaper. It is hard to say if the original papers are lurking underneath but would be fun to find out. The original flooring papers are still intact. 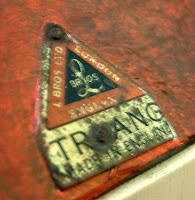 All Tri-ang metal windows are also still in situ and have been re-painted in a two tone green colour. As you can see from the scanned image higher up on this posting, they would have been brown and would not be too difficult to restore. 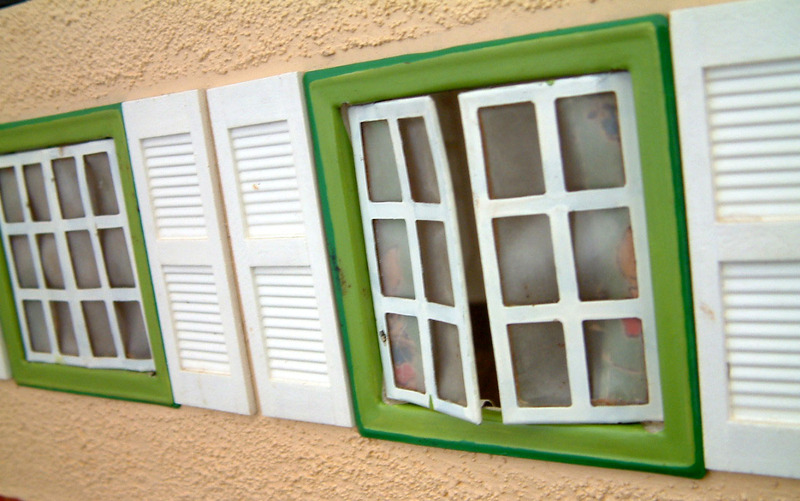 It would also not be too difficult to remove the modern plastic shutters and replace with Tri-ang reproduction green card shutters, in order to keep it more like the original. The roof is in excellent condition and both chimneys still remain. What is also rather refreshing is that the Tri-ang tin label can be found on the rear of the roof. All in all, this is a lovely dolls house.....clean, no hint of woodworm as far as I can see and the new owner could move straight in....although the purists in you may wish to embark on some restoration first. It is available to purchase and full details can be found on the following link. This unusual and very attractive early 1900s antique dolls house is the latest antique miniature abode to go up for sale at KT Miniatures. 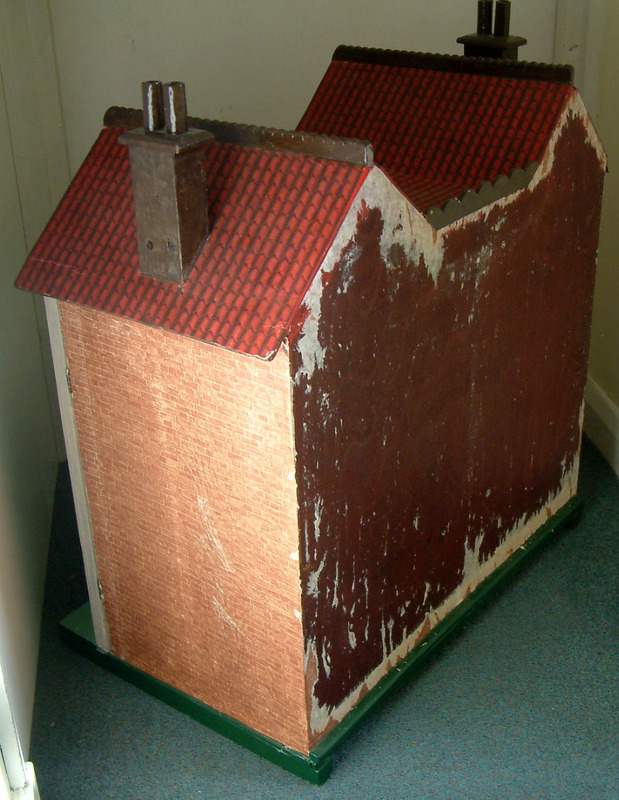 It is of solid wooden construction and in need of some sympathetic restoration. A fantastic project for someone! Looking at the style and the way it's been made, it probably originates from around the early 1900s.......maybe c1910 -1915. I don't feel that it's post WW1. 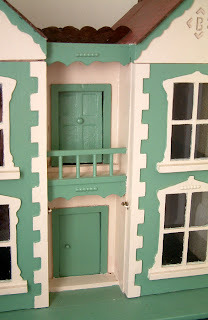 It has some very nice touches such as an upper balcony with a door leading into the landing. 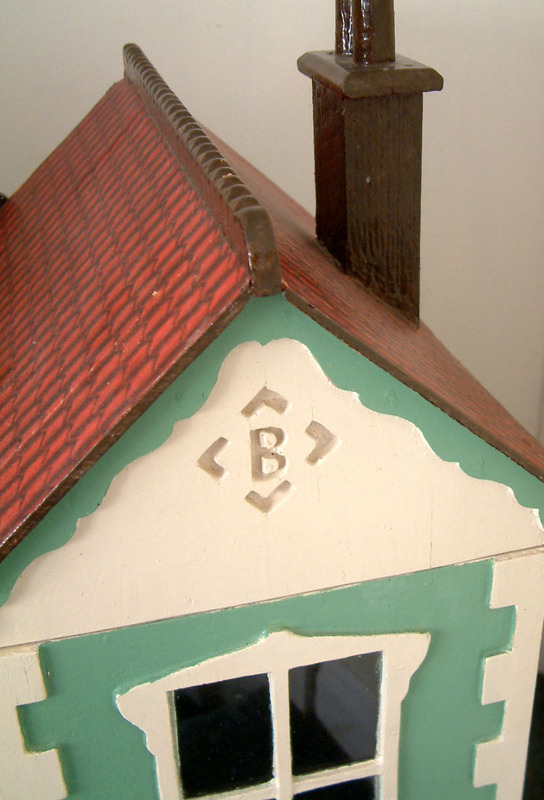 The initials Vand B are separately carved into the frontage.......am assuming that these were the initials of the first little owner all those decades ago. Maybe made for her by a doting father or grandfather perhaps? The frontage opens in two parts, the central part with the doors and balcony being fixed. Access to the hall, landing and staircase is via these two doors. All the windows are glazed with real glass. 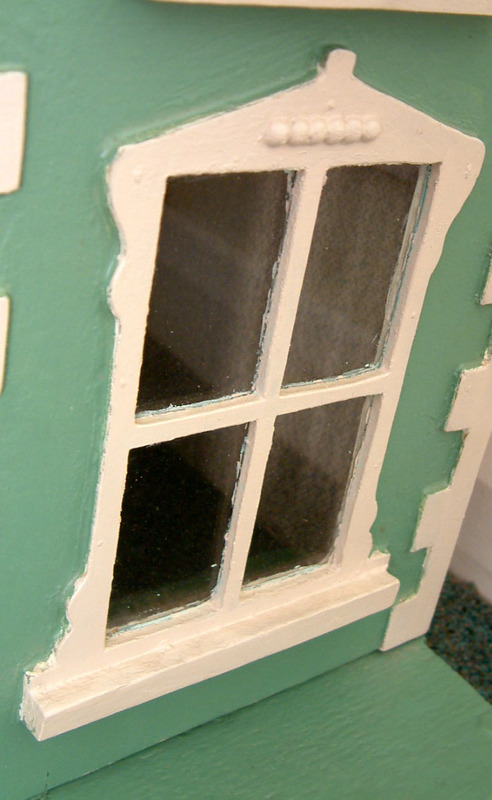 The windows are surrounded by a fretwork frame, and I have to say that the house does seem quite similar in style to those dolls houses made from plans that were sold by Handicrafts in the first part of the 20th century. 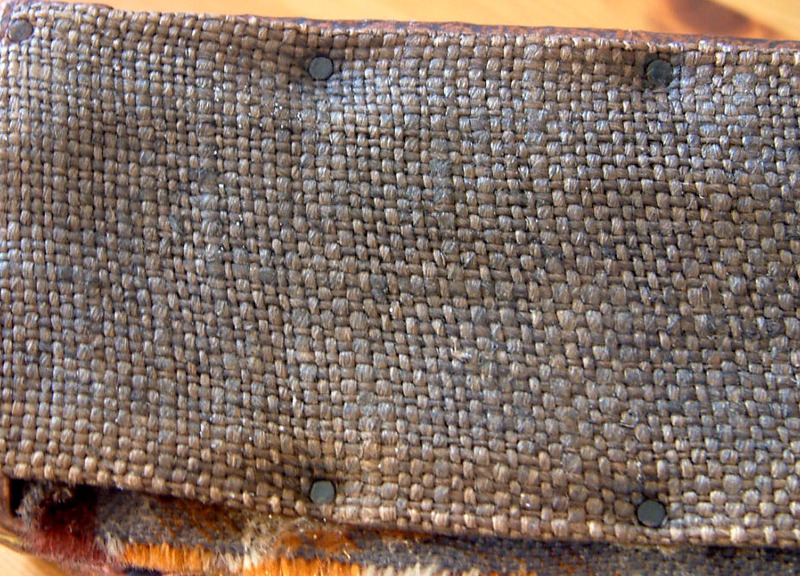 But after scouring the few Handicraft handbooks and magazines that I have, no exact match to a specific design can be found. 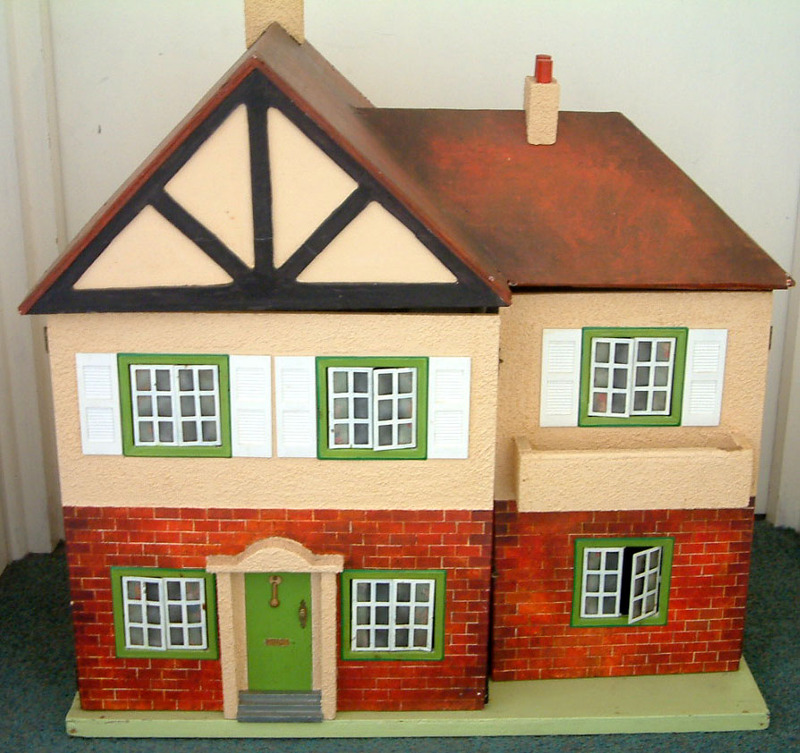 This house has modern brick paper on the exterior which I did embark on removing, beginning at the back, but it was quite time consuming (time which I just do not have) so have left all further restoration to the new owner. I did also remove some disgusting sticky back carpet from all the floors and hideous modern paper from the interior ceilings. It immediately looked (and smelt) so much better! Whoever takes this on can have great fun restoring this little treasure. There is a hint of further wallpaper underneath the old papers that are currently on the interior. 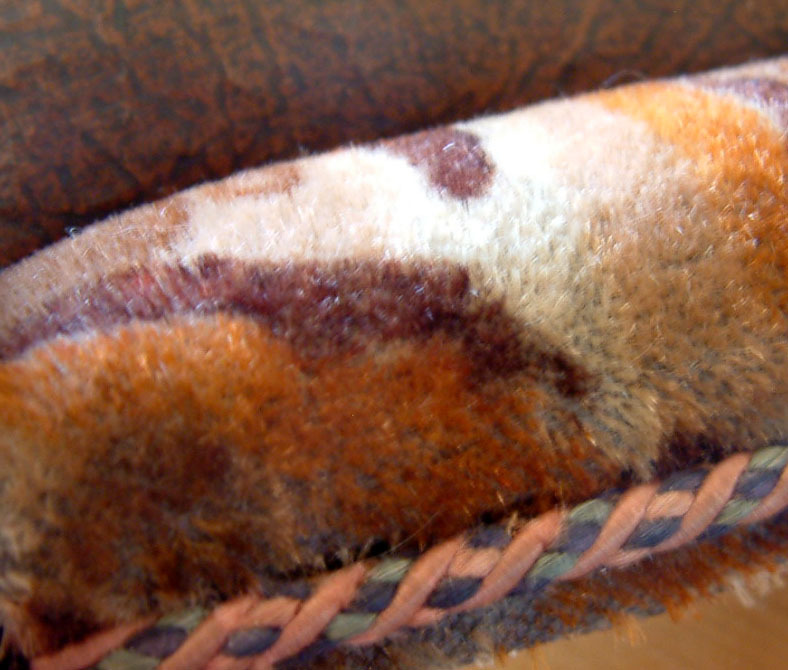 I am dying to see what is lurking under there but nope.....am leaving it well alone for the next owner. Scale is all over the place with this house, as is commonly found in some of the very old houses. 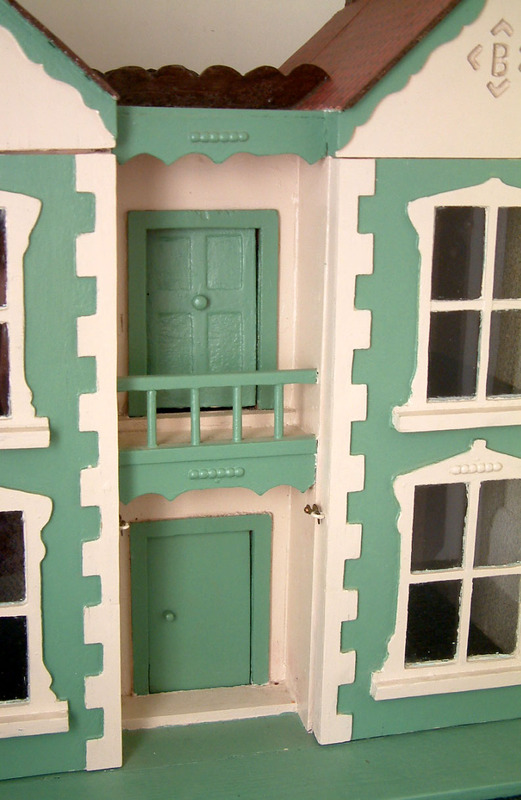 The interior doors are so tiny....compared to the front doors and the scale of the windows. 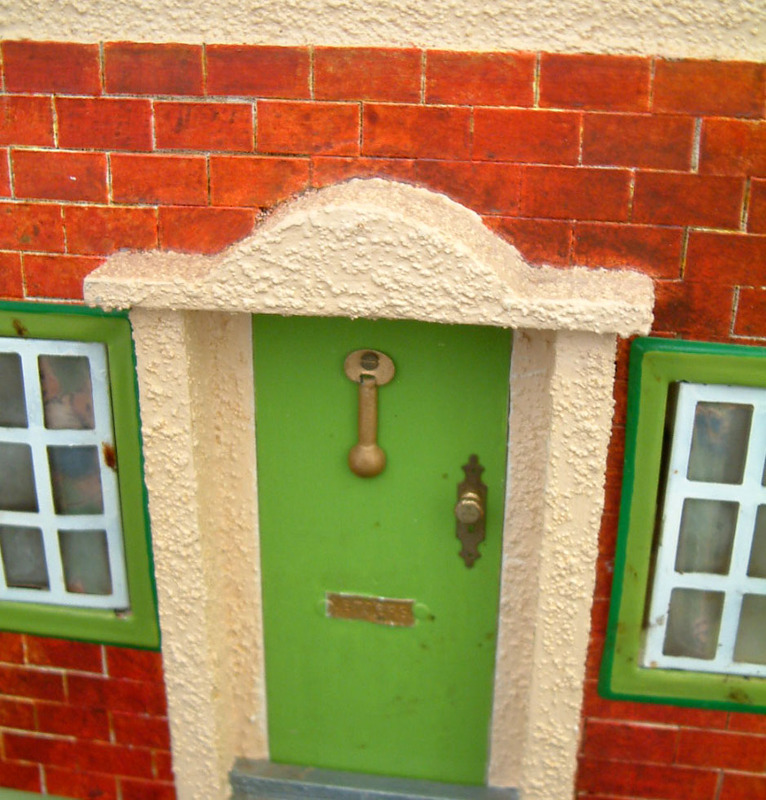 But this just adds to the magical quirkiness of this lovely little house. However as the ceiling height is 9" downstairs and 8 3/4" upstairs, 1/12th scale furniture would look perfect in here. Unusual c1930s Three Piece Suite & What About Those Drawers!!! 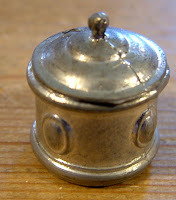 Listing of old items on KT Miniatures has begun in earnest today. Amongst some of the more unusual pieces is this rather wonderful c1930s rexine and material three piece suite. These chairs are of solid wooden construction, so consequently extremely heavy and very well made. I am not sure if they have been commercially manufactured or homemade but whoever did create them, knew what they were doing. 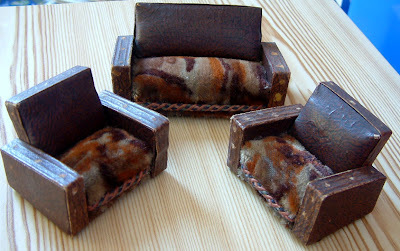 The material is just wonderful.........so very 1930s plus there is a co-ordinating braid that edges along the lower seat. Even the base underneath has been upholstered with hessian, just like real life size upholstery......wonderful! 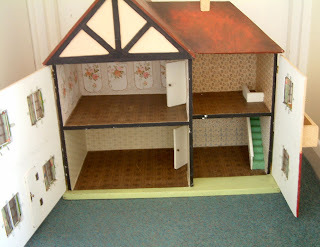 Antique 1/12th Living & Dining Room Page. 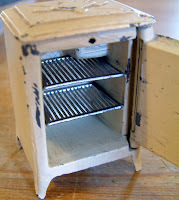 Another unusual old piece is this kitchen cupboard, make and origin unknown but came with a 1930s dolls house. 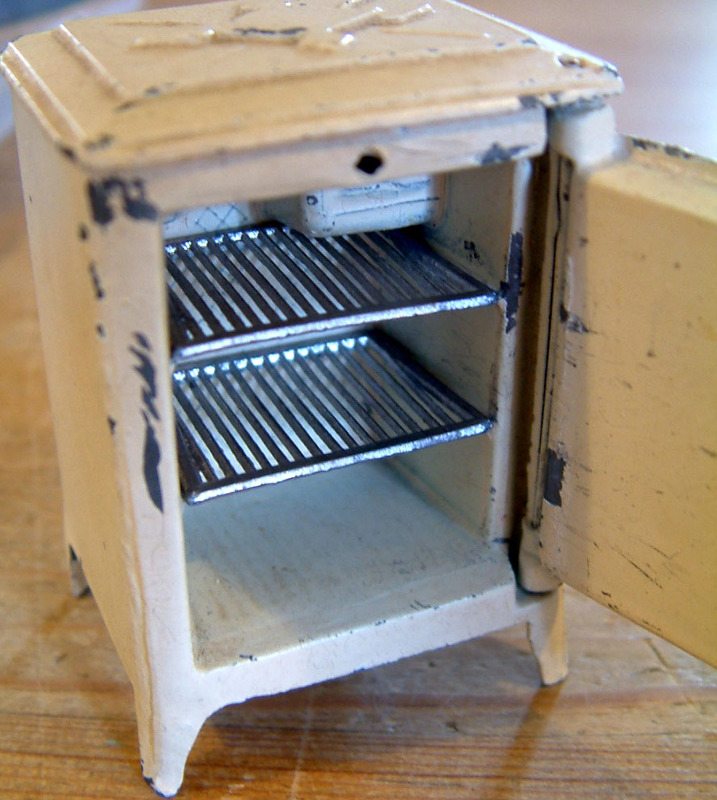 At first glance it looks quite average and not disimilar to the smaller 1/16th scale Barton kitchen cupboard. 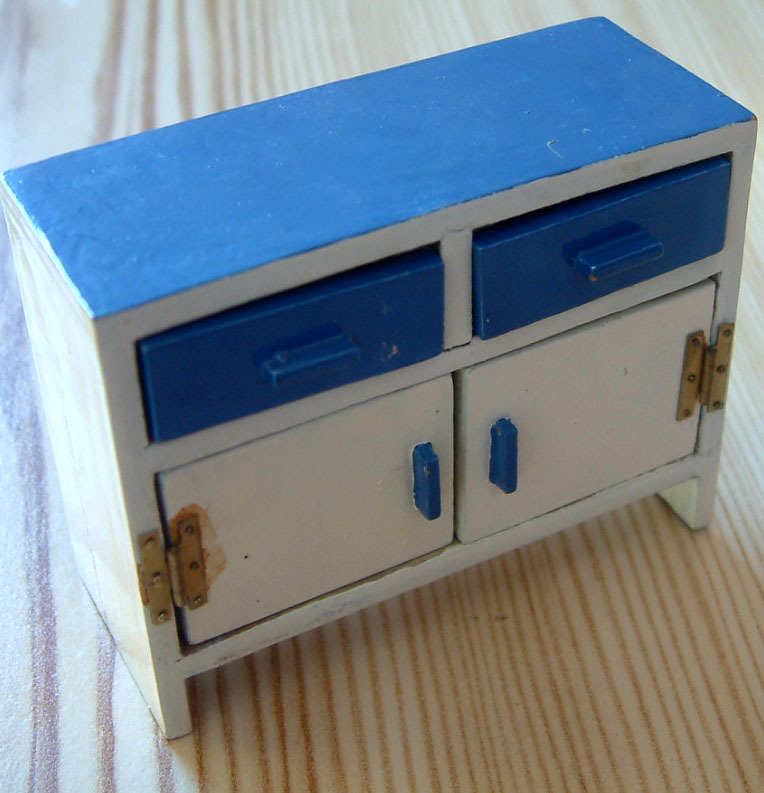 However, when you open the drawers you will see a rather nice touch! 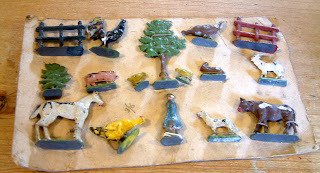 Various antique and vintage 1/12th and 1/16th miniatures have gone up for sale today. Please do go check out my website. However, do remember to refresh each page on my website in order to see the latest updates......otherwise you may just be viewing what you saw last time and the time before that!!!! 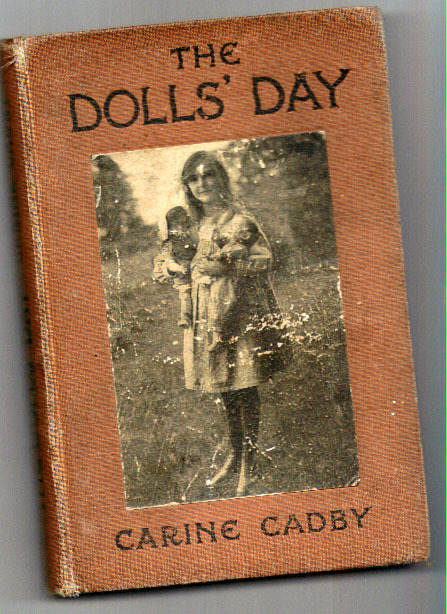 Had A Little Help With My Stocktaking....And THE DOLLS' DAY By Carine Cadby. I would just like to start by saying a special thank you to lovely Hannah, a currently unemployed chemistry graduate who helped me out for a few days whilst gaining a little work experience behind the scenes of KT Miniatures. She had no idea what she was letting herself in for but I think she enjoyed it! Her first task was to embark on a massive stock-take of all the vintage and antique items so now everything in those specific sections on KT Miniatures' website are well and truly in order. Then she came along for a stock buying trip to Oxford. 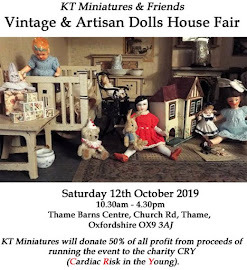 Her eyes were opened further into the world of vintage miniatures but now her short time with me is over and KT Miniatures is rather quiet once more! 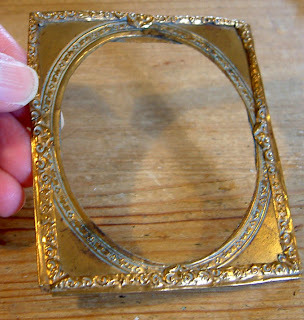 Boxes of "new" vintage/antique stock have been sorted and shortly I hope to start listing these on KT Miniatures website. 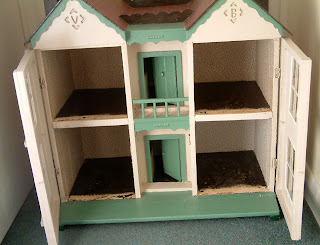 Plus I also have at least two more vintage dolls houses to go up for sale - c1930s Tri-ang No 24 (a restoration project for someone) plus an early 1900s that will need some tlc, but more about those in the next day or so. 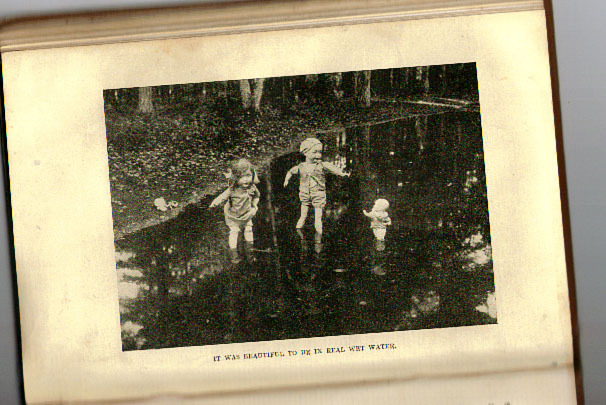 And now for something different..... as you may have seen on KT Miniatures Journal before, I am a real sucker for old children's books. Whilst at an Oxfordshire car boot sale the other Sunday morning, I gravitated to an elderly gentleman's stand and amongst some rather lovely old things I found this wonderful book. 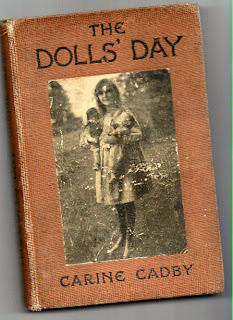 It is called THE DOLLS' DAY By Carine Cadby and this particular copy is a first edition c1915. 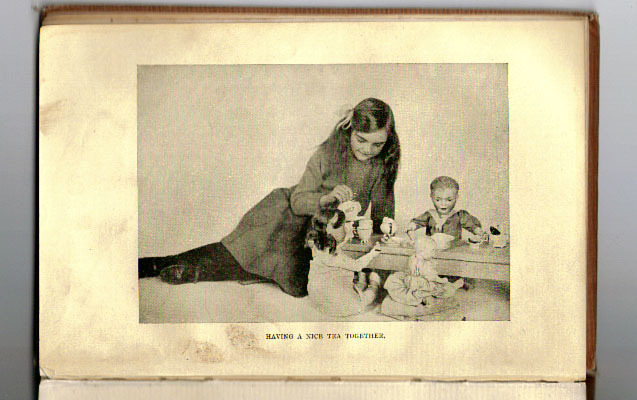 The book is filled with some wonderful staged black and white photos of a little girl called Stella and her dolls - Charles, Belinda and "The Baby". It tells the story of how these dolls come alive and their adventures. The stall holder told me that it belonged to his late wife and that he was finding it difficult to let it go. But he went onto say that there really was no-one else to pass it onto and wanted it to go to a good home....well, I assured him that it was! Everything about this little book is enchanting and it will sit on my bookshelf amongst the rest of my collection of old books for ever more. Hope you enjoy looking at some of the photos. At last I have managed to get my act together and today have been able to begin listing some antique/vintage miniatures onto KT Miniatures website. A mixed bag of items of various eras and types but equally rather lovely, some of which I have shown below. 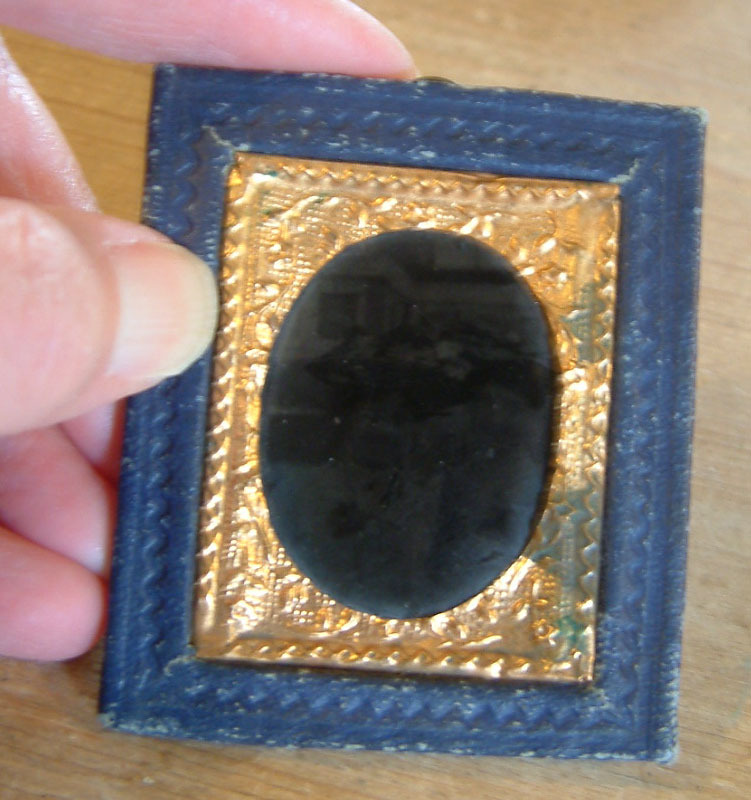 First up is a Victorian leather and metal framed photograph under glass- the inner metal frame part can be removed from the outer stitched leather frame which makes this quite versatile. Although the photograph has almost completely faded, if held at an angle to the light one can just make out the ghostly image of two ladies in rather splendid hats in front of a building. 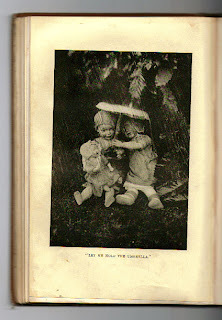 Even though at first glance the photo kind of appears black, this would look great hanging on an old dolls house wall. There is also a gorgeous Victorian soft metal frame which gives someone a wonderful opportunity to frame one's own painting or family photo.These frames simply do not come along very often. Next is this wonderful 1930s German bakelite wireless that was originally a pencil sharpener, so evocative of the era and highly sought after. Isn't it fabulous?! 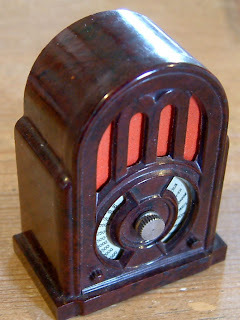 The tiny metal control knob turns the little dial. Although this started life as a pencil sharpener, if you unclip the metal backplate you will find that the inner sharpening mechanism is long gone. But I don't think the inhabitants of an old dolls house would mind...do you? 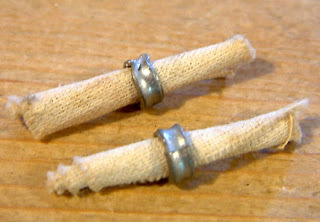 And how about this pair of c1930s metal napkin rings (& napkins)? The napkins are simply bits of very old material rolled and insignificant on their own, as it is the napkin rings themselves that are the stars! Just imagine how many of these would be lost in young hands.....they are so teeny, one sneeze and they could disappear in seconds! 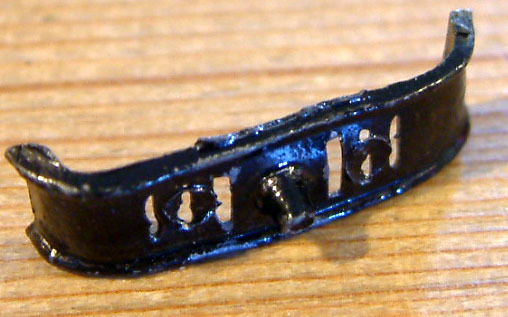 From an entirely different era altogether is this rarey seen metal tv aerial. 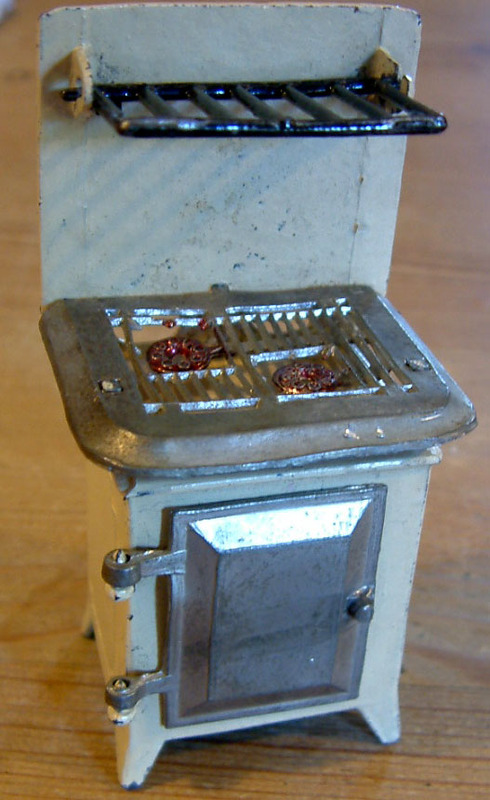 In fact I have to admit that I have not handled one quite like this before and at first glance, assumed that it was homemade but now on close inspection feel that it could actually have been manufactured. Has anyone every seen a dolls house aerial like this before.....if so, do get in touch, would love to hear your comments? All the above can be found on the Antique 1/12th Living & Dining Room Page. 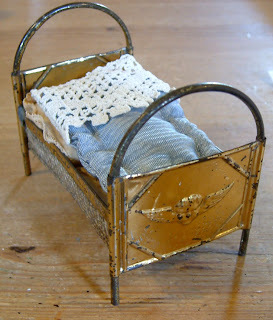 Then there is this wonderful c1915 metal bed with bedding including a mattress. 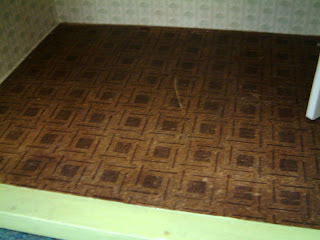 What is really sweet about this bed is that it has embossed cherbubs at each end of the bed ends. This can be found on the Antique 1/12th Bedroom Page. 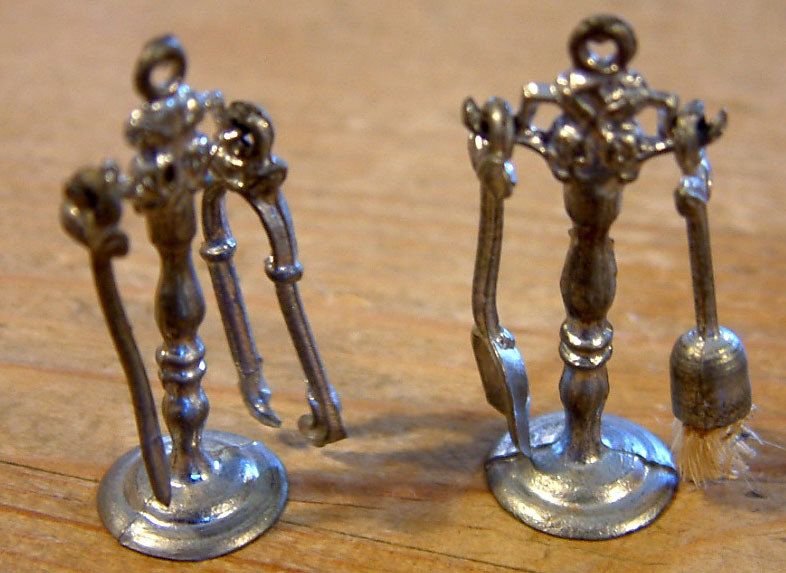 Moving onto some miniature delights with a difference. This lead farm set is undoubtedly old however, quite old I am not sure but there is a price of 3/6 written in pencil on the backing card.....so maybe about the 1930s? What is really whacky though is that the scale is wonderfully all over the place. The lady is the same height as the hen, the chicken is the same height as the pig etc......!! So, whoever takes this on will have to be of the mindset where scale does not matter. 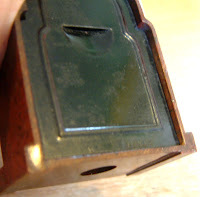 It appears that these pieces have never been played with as they are still fixed to the backing card...although saying that, one or two pieces do appear to have some slight wear to the paintwork. 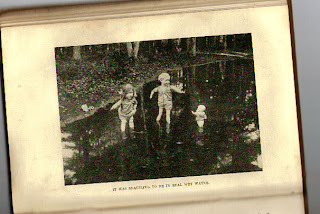 This can be found on the Antique 1/32 Lead Page. Gas cooker with opening door and plate rack plus a wonderful fridge with both of those very elusive metal interior shelves. 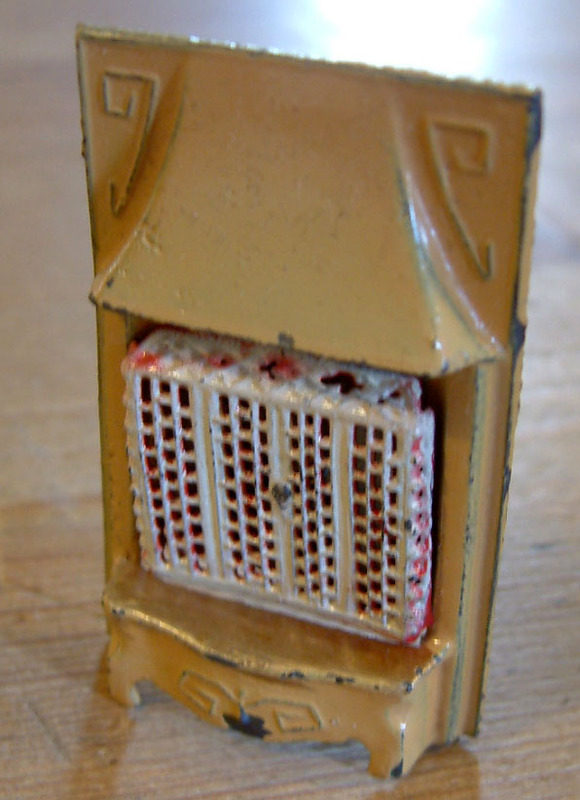 A complete metal fireplace with fender and more importantly a rare fire fret......these tiny frets are fragile so broke easily in young hands as well as small enough to be mislaid quickly. 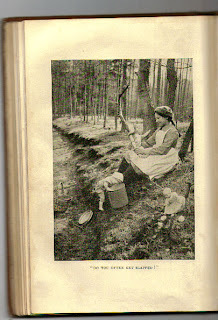 A companion set with tools.......including real bristles in the brush. 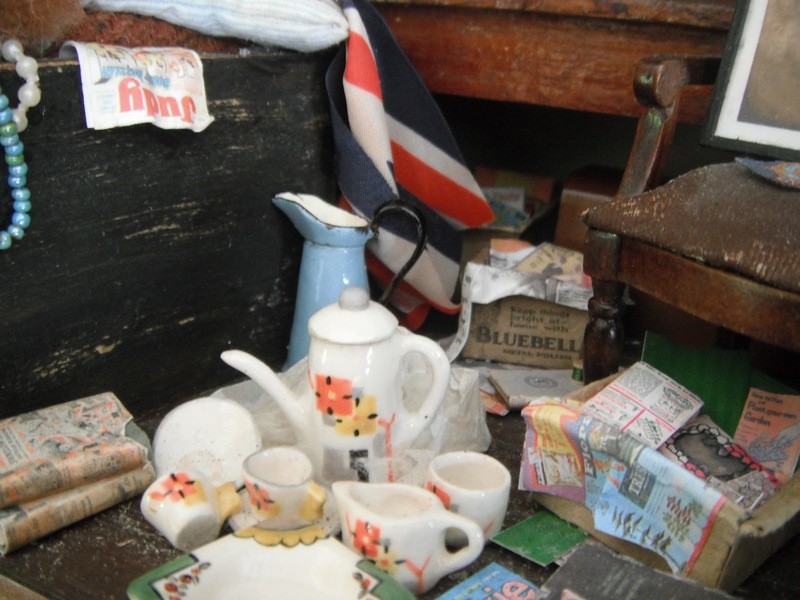 Plus there is a coal box and lid - very rarely do them come along these days all intact. Then there is this gas fire. 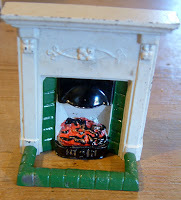 Could look good with both 1/12th and 1/16th fireplaces. These and more can be found on the Vintage 1/16th Barrett Page. It is good to be back!!!!! Labels: Antique German Bakelite Wireless, c1930s Taylor and Barrett Dolls House, Tand B.